Morgan County Sheriff K.C. Bohrer said this week that he has “zero tolerance for littering of any type and will strictly investigate and prosecute” those who violate state law that makes it a crime to litter. 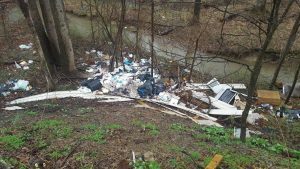 Recently, someone dumped a large amount of what appeared to be construction debris and trash down a bank toward a stream in Morgan County. 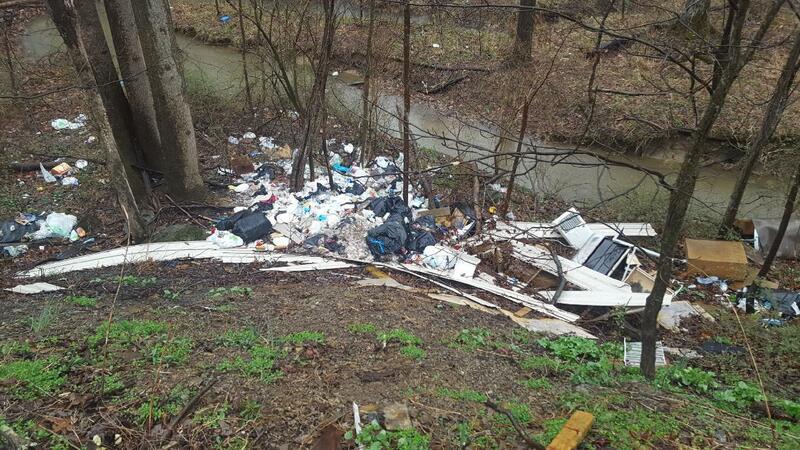 A picture was taken of the dump site by community service workers. Fines can range from $500 to $25,000. Violators face jail time under certain sections of the code. “Tires are often found in open illegal dump sites and are specifically addressed in the code,” Bohrer said.